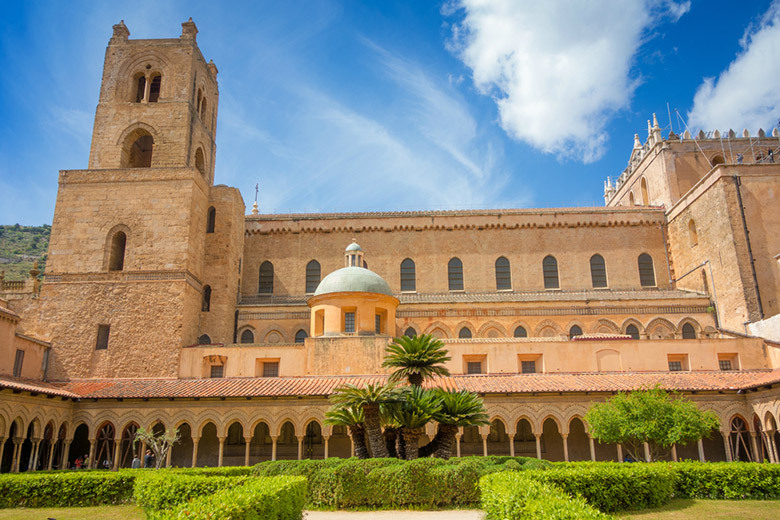 The Palazzo dei Normanni e Cappella Palatina is the Royal Palace of Palermo and is located in the Sicilian capital. For many years the palace was the home of the monarchs of Sicily and now it’s the home of the Sicilian Regional Assembly. The building is the oldest royal residence on the continent of Europe and it stands above an even older site; the remains of the ancient Punic settlements. Visit the basement of the palace and you can still see these remains today. 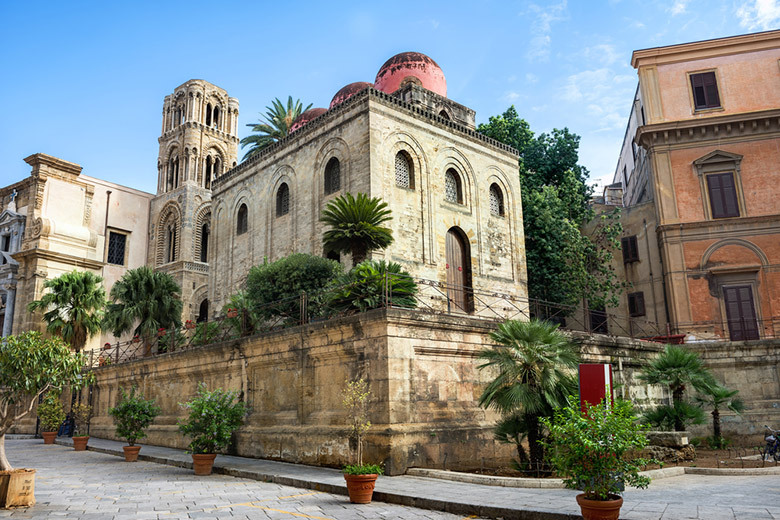 The Palazzo dei Normanni e Cappella Palatina is situated in the ancient center of the city of Palermo, at the highest point in the city. The original palace to be built on the site was Arabic and this building was adapted and expanded when the Norman kings took to the throne in Sicily. The new buildings were surrounded by expertly designed gardens and it was at this time that the Cappella Palatina was added to the palace complex. 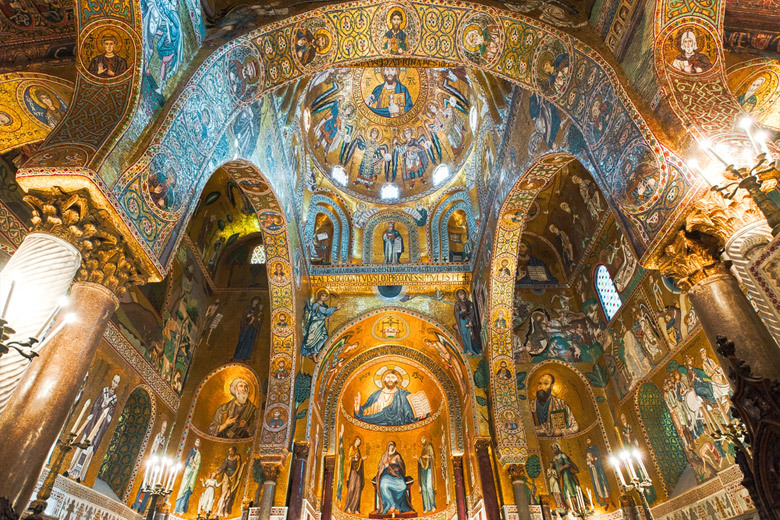 The Cappella Palatina was created in the Arab-Norman-Byzantine style of architecture and contains a myriad of mosaics as well as an elaborate wooden roof. Just as spectacular is the marble, used in the walls and floor. It’s an elaborate part of a very impressive building that’s worthy of being on any list of top Sicily attractions. In the past, Favignana was home to the Florio family who were known for their skills in fishing for Bluefin tuna. The family employed almost everyone on the island in their fishing business; whether it was to catch the fish or to process them. 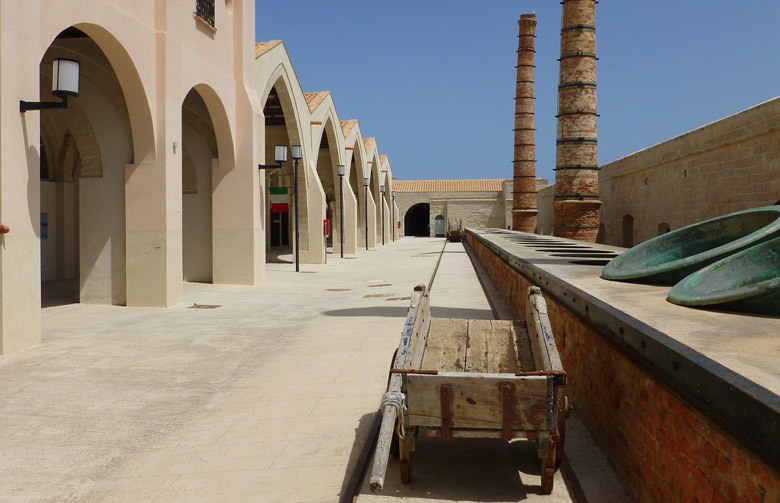 Today, a visit to the Tonnara Florio Favignana takes you through the fascinating history of the Florio family and their business. It may sound like an odd thing to do in Sicily, but if you’re interested in culture and how people used to live and work, this is actually a highly recommended attraction. There are films to watch and audio clips to listen to, that take you back to the times when the business was still in full flow. You can also see a collection of boats and nets that were used in catching the tuna. These exhibits really bring the tales of the Florio family fishing business to life. Many of these stories are shared on video by people who worked in the business; telling how it happened their way. Much of the audio is not in English but you can still get a sense for the passion of the people who were involved. 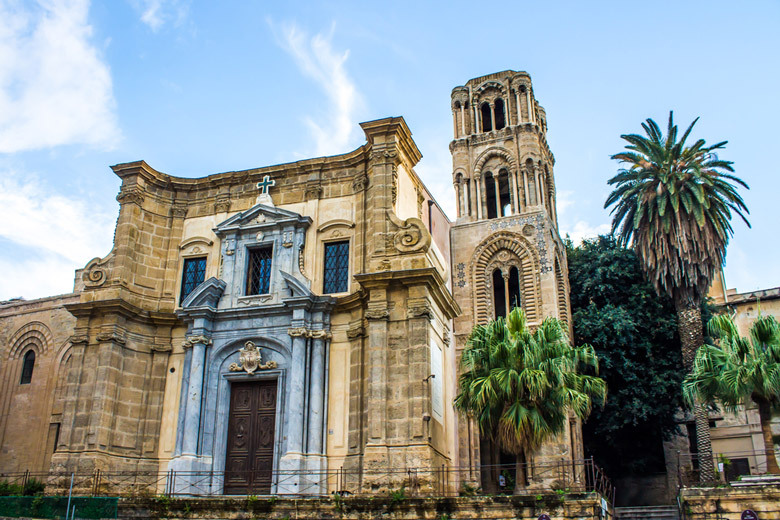 The church of Santa Maria dell’Ammiraglio is often referred to as the Martorana and is situated overlooking the Piazza Bellini in city of Palermo. This impressive place of worship belongs to the Eparchy of Piana degli Albanesi of the Italo-Albanian Catholic Church. The most noticeable feature of the church is that it represents a gathering of different styles of architecture. This is due to the various influences that have affected changes to the church over the centuries. The church is named for its founder who was a Greek admiral, and its foundation charter has been preserved from the middle of the 12th century. During the 16th century the church was modernized by the Benedictine nuns of the neighboring convent. That convent was founded by Eloisa Martorana which is why the church is commonly called the Martorana. The nuns were famous for making fruit shaped marzipan figures and if you visit Sicily today you can still try a modern version, even though the nuns and the convent are long gone. Today the church itself is part of the Italo-Greek Catholic Church and has cathedral status. 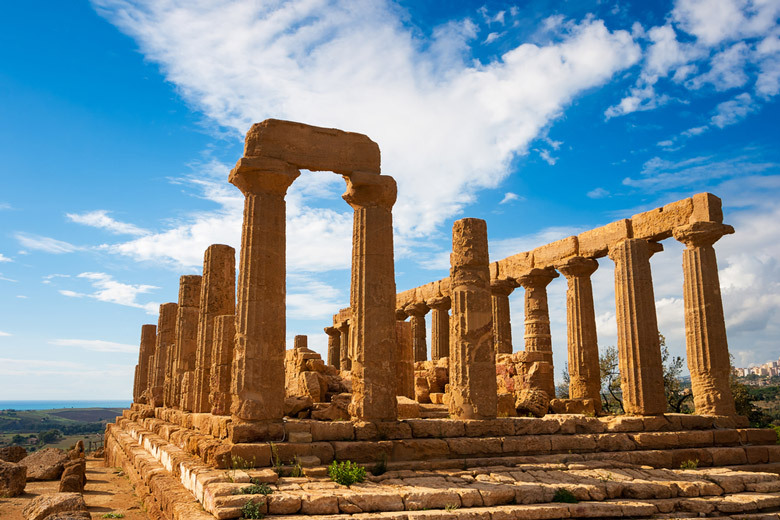 It’s an impressive reminder of Sicily’s past as well as a functioning place of worship and a popular Sicily attraction. 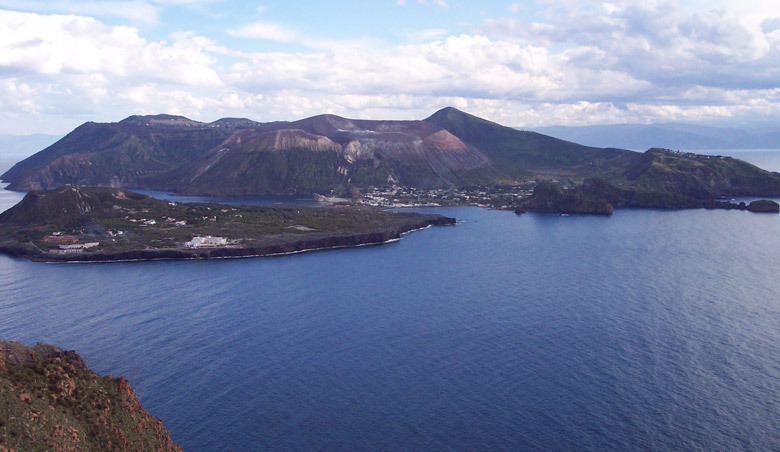 If you’re looking for things to do in Sicily, then a trip to the island of Vulcano should be high on your list. Vulcano is a small volcanic island that is located around 25 kilometers (16 miles) off the shores of Sicily. It’s only 21 square kilometers (8 square miles) in area but is home to some tall volcanic structures that you’re unlikely to see elsewhere. 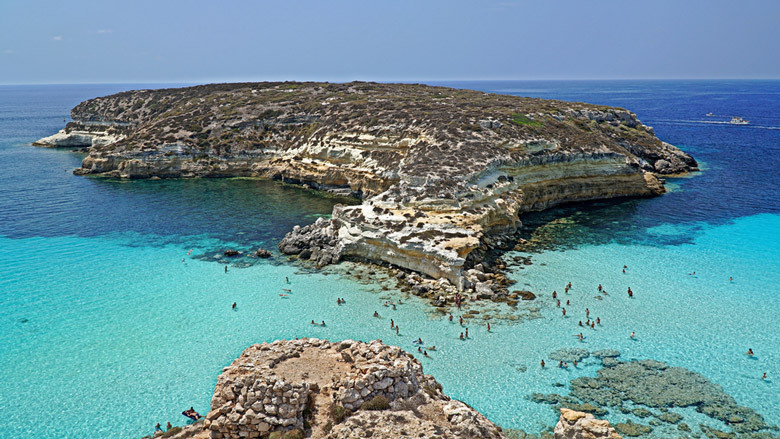 When you visit the island you should climb the Scalata al Cratere. Just make your way through the collection of restaurants when you get off the ferry and you can find the start of the walk. It’s not an especially difficult walk, being relatively short with a slight climb, and once you reach the end of the trail you can benefit from the breathtaking views. It’s really an experience you shouldn’t miss. One thing that’s worth remembering if you do decide to visit the island of Vulcano and climb the Scalata al Cratere, is that there is a strong smell of sulfur (sulphur) around. This comes from the mud baths and hot springs on the island and it shouldn’t spoil your trip as long as you know to expect it. 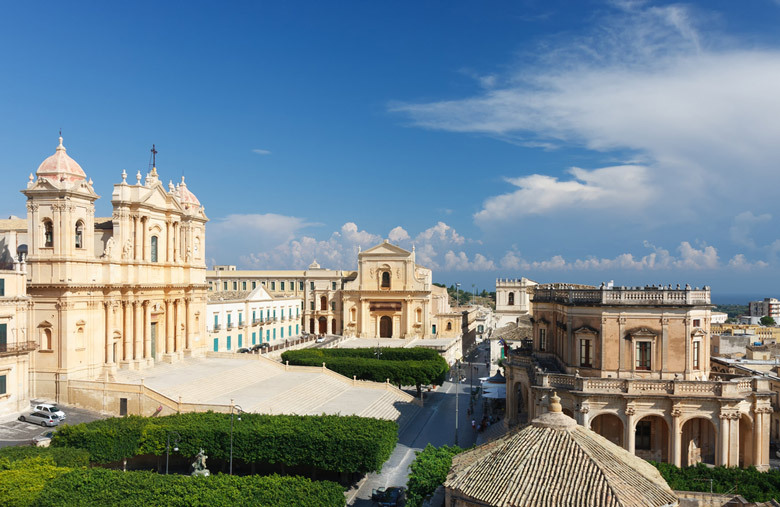 A visit to Centro Storico di Noto is a stunning choice to add to your list of what to do in Sicily. It’s a little like landing in the middle of a fairytale as you find yourself amidst a stunning array of baroque buildings. The village of Noto is a perfect example of where small can be beautiful. Even its surroundings are picturesque; it’s nestled at the foot of the Iblean Mountains in an area that’s called Val di Noto, after the village. UNESCO recognized the village and its church as a UNESCO World Heritage Site in 2002. If you take a trip to Noto you won’t be disappointed. As well as enjoying the impressive architecture and scenery, you can also take advantage of the variety of shopping and dining opportunities. The village is home to several shops that sell souvenirs of the area as well as local foods. If you head off along the high street you will find several bars and restaurants where you can sit back and relax after a day in Noto. 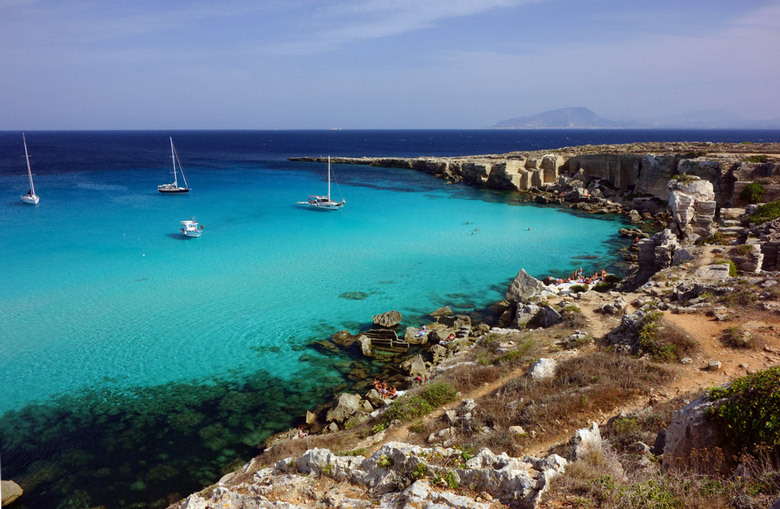 Cala Rossa Beach is one Sicily attraction that you won’t want to miss. Its sand has an unusual reddish tint from which the beach gets its name. The sands are framed by the mountain area of the Bavella Needles so it’s a really beautiful place to visit. The area around the beach is fresh and green, and the water is calm and clear making this a great place for swimming or snorkeling. Cala Rossa isn’t just beautiful; it also has an incredibly classy vibe about it. There are several luxury villas in the area, with immaculately designed gardens that flow right up to the edge of the beach. Part of the beach is privately owned by a hotel but there is still room for visitors to the area, where you can enjoy a stroll in the sun. If you’re feeling more adventurous you can try one of the water sports on offer. These include windsurfing and sailing. After a day of activity you can have dinner at the beachside restaurant, or enjoy a relaxing drink at the bar. 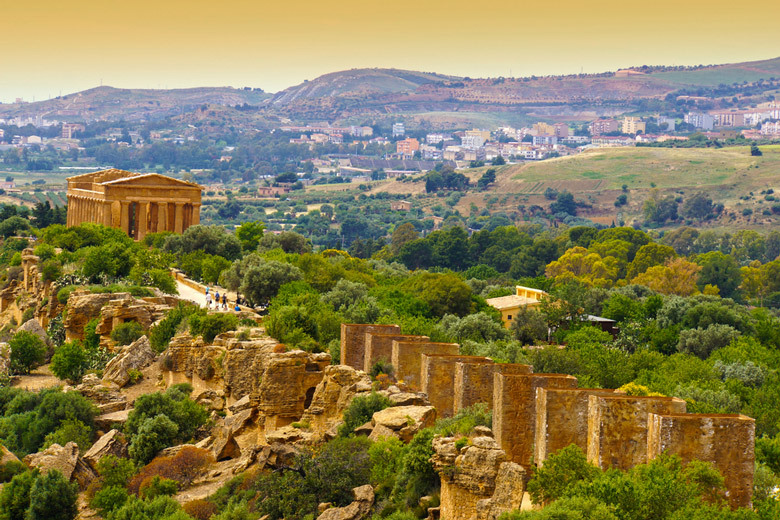 As far back as the 6th century BC, the city of Agrigento was a place of importance in the Mediterranean. When you visit the area today you can still see the remains of the Doric temples that were built during that era. Most of the town actually still exists but it has become buried beneath today’s landscape though you can still see certain parts of the town that have been excavated. This impressive site has undergone centuries of history through times such as the Norman Gergent and the medieval period. 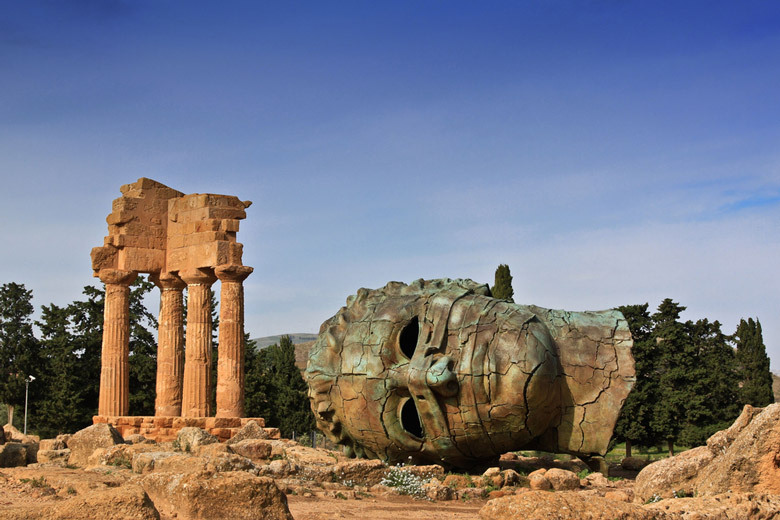 The city and its surrounding area are now preserved by Sicily as the Valley of the Temples. It’s one of the major historical Sicily attractions. The valley is separated into three areas; the archaeological area, the environmental and scenic landscape zone and the nature and picnic zone. The environmental and scenic landscape zone is intended to create a barrier of protection for the archaeological area, so that it remains undamaged by the thousands of people who visit the valley. 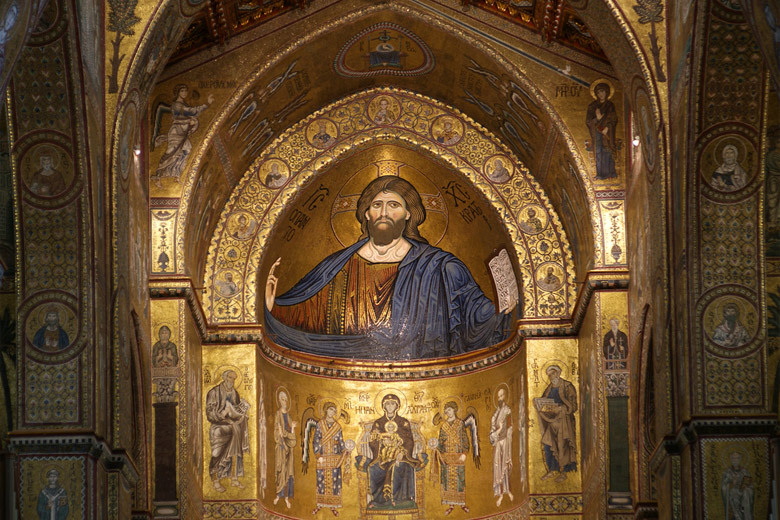 Duomo di Monreale is more than just a church. 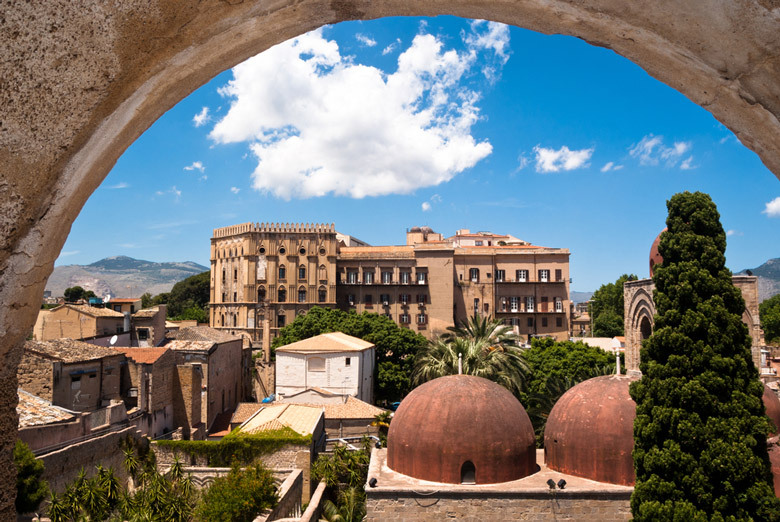 A visit to this Sicily attraction is a whole experience that’s been carefully thought out so that visitors can make the most of a visit. This church tells you the story of the Bible through a series of colorful and intricate mosaics. There are guides available and it’s a good idea to have someone on hand who can make the stories really come to life. The whole area surrounding the church is beautiful, so the inside is just as easy on the eye as the outside. There are steps to walk up to get to the church but it isn’t a difficult climb and there are cabs available as an alternative. 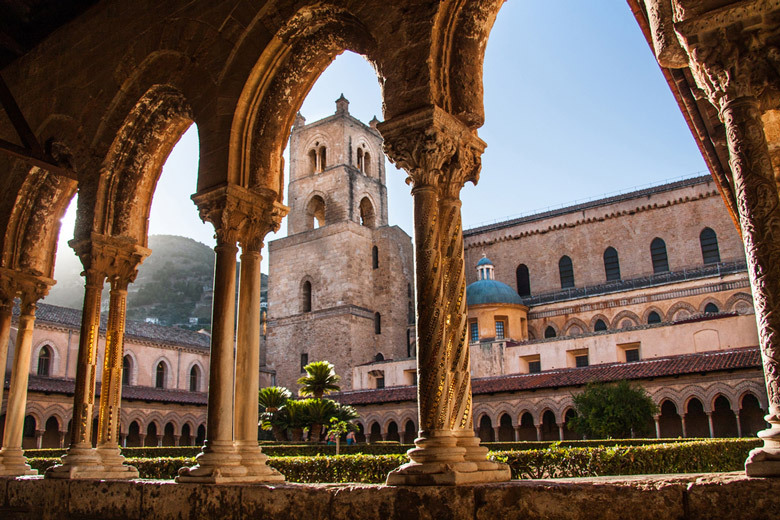 As you walk around Monreale you can gaze out over incredible views of Palermo. At the end of your visit you can sit and have something to eat and drink at the local trattoria. No matter where you live in the world you will probably have heard of Mount Etna. Seeing this force of Mother Nature in person is one of the top things to do in Sicily so you really don’t want to miss it. Given its size, and the fact that it’s one of the most active volcanoes in the world, it would actually be very difficult to miss. Mount Etna is the tallest of the three volcanoes in Italy; it stands almost 11,000 feet (3,329m) in height. 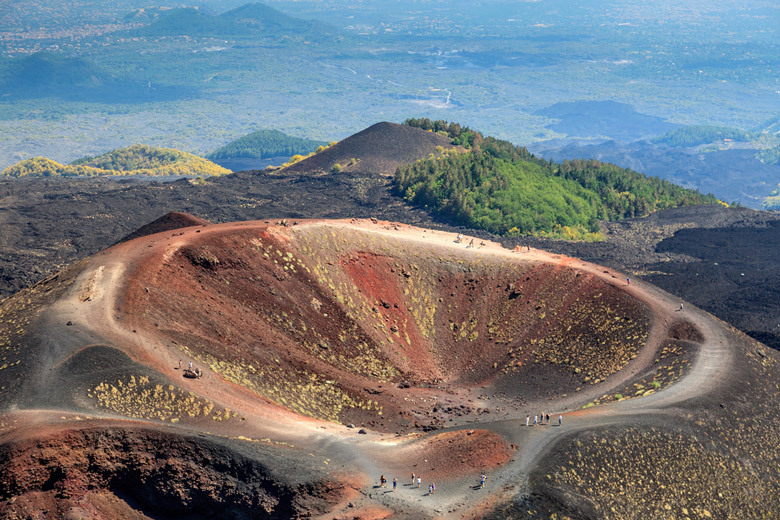 Mount Etna’s volcanic activity has been of great benefit to the area surrounding it. The volcanic soils are extremely fertile and they play host to an array of vineyards and orchards, and you can see them all from above when you walk the path up the volcano and take a trip on the cableway. If you enjoy skiing then the Mount Etna region is an excellent place to visit. There are two ski resorts on Mount Etna. The larger of the two is at Sapienza Refuge, with the smaller one located at Piano Provenzana. If you prefer more leisurely pursuits then you may want to take a trip on Ferrovia Circumetnea the Round-Etna railway. This narrow gauge railway was built in the 19th century and transports visitors around the volcano. Spiaggia dei Conigli translates as L ‘Island of the Rabbits. There is some disagreement as to where the name originates from, although both suggestions are related to the connection the island has with Sicily itself. Its location is very close to the coast of Sicily and it is still on occasion connected by an isthmus. The first suggestion for the origin of the island’s name is that it’s derived from the Arabic word “rabit” which means binding, linking or connecting; this seems to make sense. The second suggestion is a little more imaginative. It’s suggested that a colony of rabbits made its way to the island when it was connected to Sicily. When the waters rose, the rabbits were stranded on the island, hence the name. Whatever the reason behind the naming of Spiaggia dei Conigli there is no doubt that it’s a truly magical place. As you stroll along the amazing beach you can watch the herring gulls circling overhead. Spending time on this beach is magical in itself; it was named as the most beautiful beach in the world by members of TripAdvisor in 2013, and we decided that this alone is good reason for Spiaggia dei Conigli to feature as our number one attraction on our list of the top 10 things to do in Sicily.